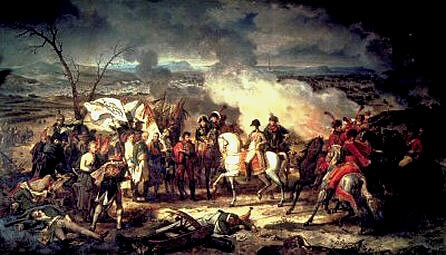 Prussia reentered the war against France in 1806, but its forces were badly beaten at the Battle of Jena that same year. Prussia was abandoned by its ally Russia and lost territory as a result of the Treaty of Tilsit in 1807. 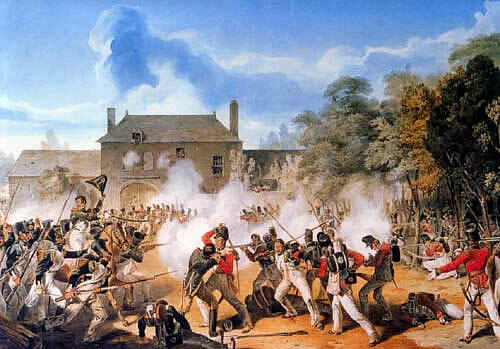 These national humiliations motivated the Prussians to undertake a serious program of social and military reform. The most noted of the reformers--Karl vom Stein, Karl August von Hardenberg, Wilhelm von Humboldt, and Gerhard von Scharnhorst, along with many others--improved the country's laws, education, administration, and military organization. Scharnhorst, responsible for military reforms, emphasized the importance to the army of moral incentives, personal courage, and individual responsibility. He also introduced the principle of competition and abandoned the privileges accorded to nobility within the officer corps. A revitalized Prussia joined with Austria and Russia to defeat Napoleon at the Battle of Leipzig in late 1813 and drove him out of Germany. Prussian forces under General Gebhard von Bluecher were essential to the final victory over Napoleon at the Battle of Waterloo in 1815.